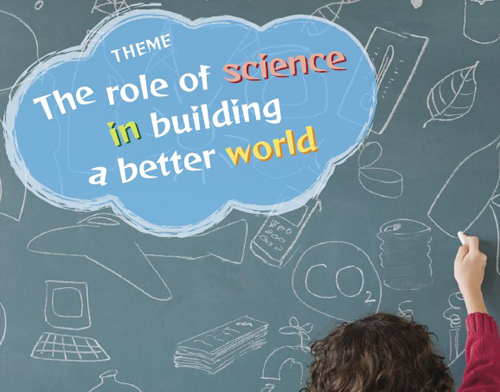 The Goi Peace Foundation in Japan in collaboration with the United Nations Educational Scientific & Cultural Organisation (UNESCO) invite young people up to the age of 25 years to participate in the 2009 International Essay Contest themed on ‘The role of science in building a better world’. The United Nations has designated 2001-2010 as the ‘International Decade for a Culture of Peace and Non-Violence for the children of the World’ and 2005-2014 as ‘United Nations decade of Education for Sustainable Development’. Scientific progress has brought many benefits to humanity, while some applications of science have adverse impacts. What kind of science and technology do you think is needed for realizing a more equitable, prosperous and sustainable world for all? Please express your vision for the future of science, including examples of studies or researches you wish to engage in. Essays must be 800 words or less, typed or printed in English, French, Spanish or German. The first prize is a certificate and a cash award of US$ 1,000 and there are 32 other prizes to be won. The first prize winner will also be invited to the award ceremony in Tokyo, Japan scheduled for November 2009. NextCome Be A Greenpeace Rainspotter!